After a massive fentanyl ring bust by the FBI and DEA, the U.S. Marshals need help tracking down the man they say is bringing the deadly drug into metro Detroit homes. DETROIT (WXYZ) — After a massive fentanyl ring bust by the FBI and DEA, the U.S. Marshals need help tracking down the man they say is bringing the deadly drug into metro Detroit homes. A two year investigation lead to a raid last month in Ohio, revealing 57-year-old Michael Bolden as a major player trafficking opioids into metro Detroit. The U.S. Marshals say Bolden knows he’s wanted and agreed to surrender, then never showed. They also say he’s no stranger to a life of crime. As always, there's a cash reward for any information leading to Bolden's arrest. The U.S. Marshals can be reached anytime at (313) 234-5656. 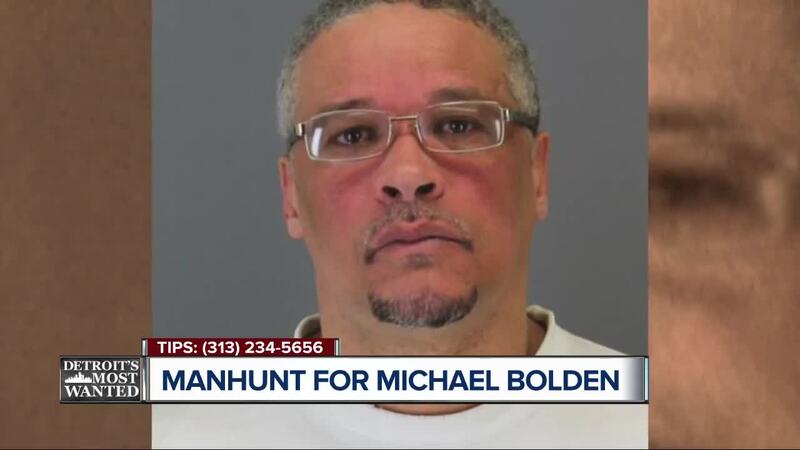 The FBI, DEA and the US Marshals are hunting for Micheal Bolden, accused of selling Fentanyl in Michigan. Watch 7 Action News Thursday at 5pm to help catch this accused criminal.